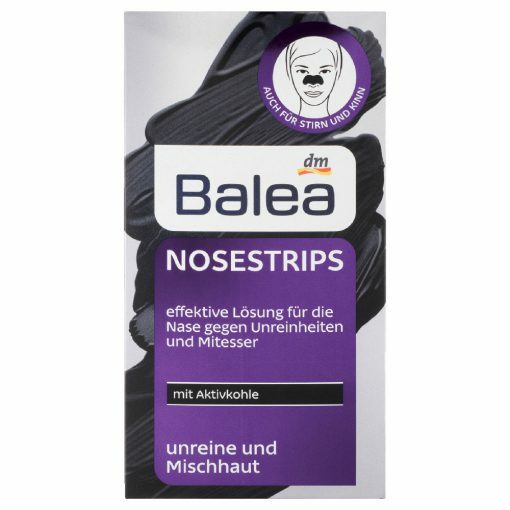 The Balea Nosestrips with activated charcoal effectively counteract blemishes and blackheads. 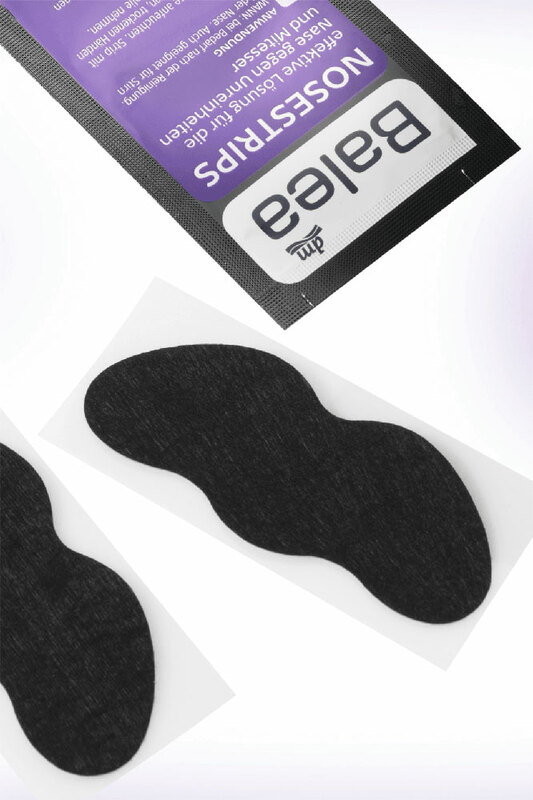 Activated Carbon Nosestrips contain an active ingredient combination of salicylic acid and tea tree oil to cleanse the skin of the nose deeply and thoroughly of impurities. The skin looks visibly refined with regular use and the formation of blackheads is prevented. For a beautiful and cleansed skin. 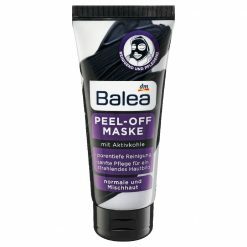 Vp/Va Copolymer, Aqua, Glycerin, Bentonite, 1,2-Hexanediol, Polyvinyl Alcohol, Salicylic Acid, Butylene Glycol, Illicium Verum Fruit Extract, Scutellaria Baicalensis Root Extract, Phenoxyethanol, Melaleuca Alternifolia Leaf Oil, Hamamelis Virginiana Leaf Extract, Charcoal Powder, Sodium Hydroxide, Limonene, Ci 77891, Ci 77499. 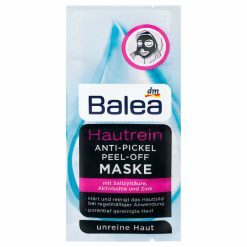 Do not use the strips if your skin is sensitive to patches or peel-off masks and if you have sunburn or skin irritation. Leave at least 3 days between applications. Contact with textiles or similar Avoid this as it may cause discoloration. 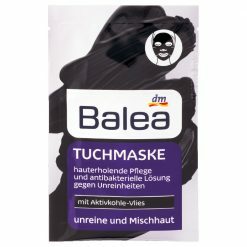 Balea Sheet Face Mask Activated Carbon, 1pc.